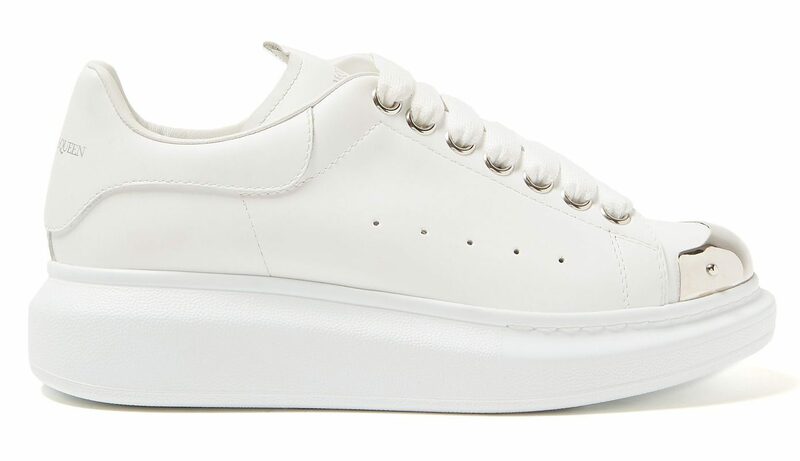 An added luxe touch has been added onto the classic Alexander McQueen Runway Platform Sneaker. In a hardware style, this sneaker shows off an exposed metal toe cap above the clean white Italian crafted leather. To further the metallic look, sparkling silver eyelets hold the white laces in place and match with the shining toe cap at the front. Be sure to keep a cloth handy for the polishing of these kicks! A slightly wedged platform midsole sits below foot, that won’t only be giving you an effortless style, but also comfort and an instantly elevated look. Perforations can be seen along the sidewalls in a horizontal pattern, with a smooth aesthetic taking over the rest of the sneaker. 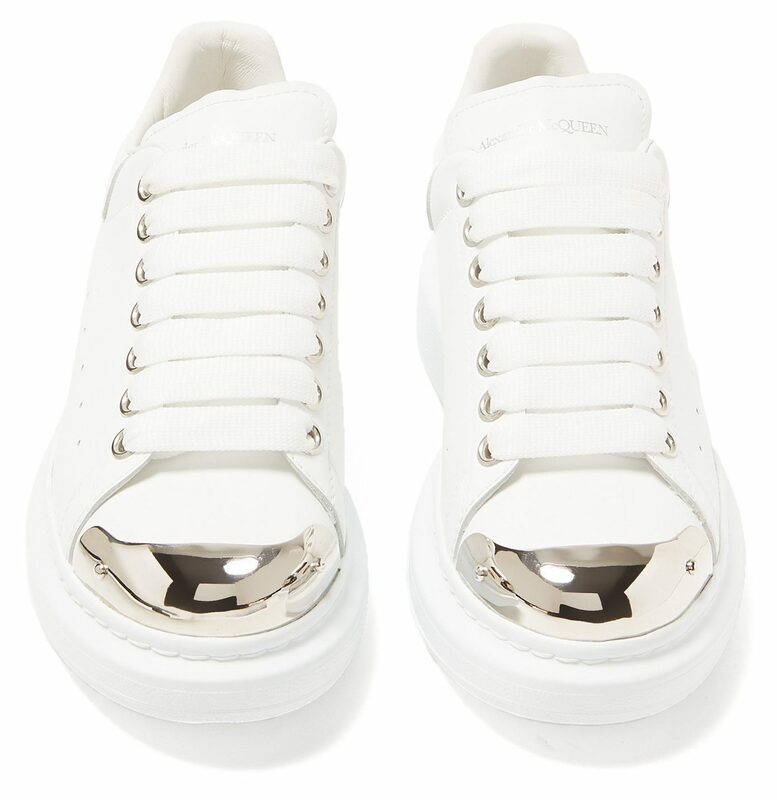 Even more silver detailing is dotted around the sneaker; used for the classic branding to the heel and the tongue where Alexander McQueen’s name can be seen in a chic serif font. The Alexander McQueen Runway Platform Metal Toe will be available soon via Matches Fashion. Be sure to stay tuned to The Sole Womens to catch this silhouette as soon as it goes live!